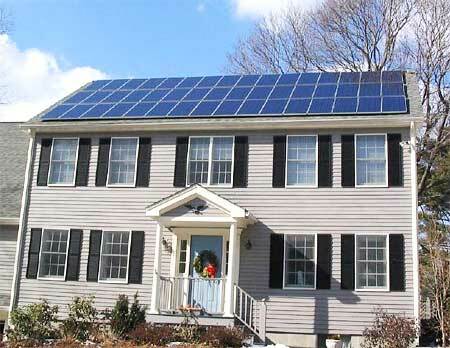 Believe it or not, there are several compelling arguments to living in a solar powered home. While the initial investment may seem high, you’re going to be saving big over the coming months and years as those energy bills dip to the lowest numbers you’ve ever seen in your life. By going with solar energy, you’re no longer going to be reliant on your electric company to provide all of your energy needs. Most solar users report drops of almost two thirds in their monthly electric bills. Most people don’t realize that whatever reserve energy you don’t use during the day is stored and can be used during the evening. This makes life a whole lot easier- and cheaper too! Going solar is nothing but good for the planet we all live on. The environmental benefits associated with solar power are perhaps the greatest side effect of switching over. Clean energy means that so many of the problems we face today can be solved and wiped out over the next several years- including our dependency on coal, natural gas, and hydroelectricity. All of those suddenly become unnecessary, thanks to solar energy. Not only are you saving yourself money, but now your home is worth more on the market, as well! By installing solar panels, you’ve just guaranteed a substantial mark up on the value of your home, as whoever purchases your home will be getting the same discounts as you did, on their energy bill. For that reason alone, your house is highly desirable, when compared to other homes in the neighborhood. With all the money you’ll be saving, you’ll now be able to focus on all those smaller projects, around the house that you’ve been putting off for all of these years. From the big projects like renovations to the back yard, to smaller matters like buying new chairs for the kitchen, solar energy leaves more money in your wallet month in and month out than you’ll know what to do with. If you plan on leaving your home to your children, you’re giving them a bright future indeed! Not only will you be giving them the same financial benefits you’ve been receiving, but you’ll also be helping them to carry on the legacy of helping to make the Earth become a better place for them and their children, down the road. Solar energy keeps on giving, no matter who benefits from it. Don’t hold back on investing in solar energy. With rates being lower than ever, now is the time. You have got nothing but opportunity, if you embrace the potential it offers. Get started today, and make the world a better place.